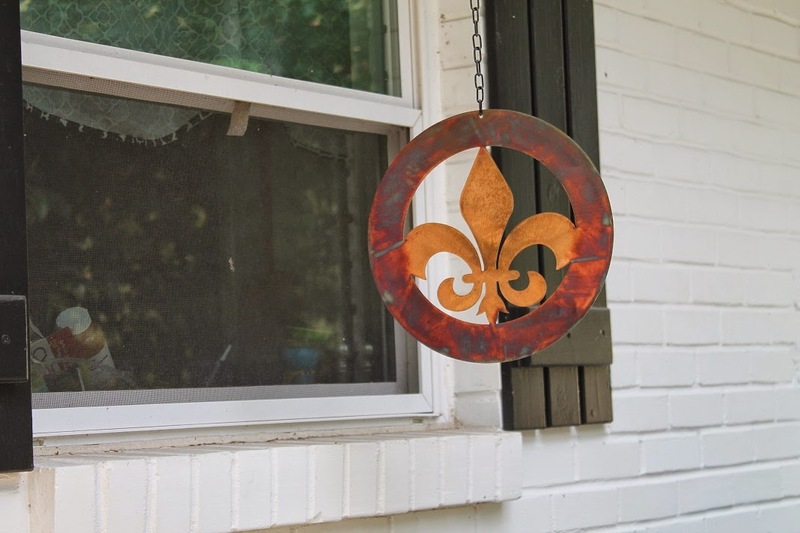 I bought this fleur de lis sign at the Denham Springs craft fair in early October. It's metal and really cool. Shawn hung it in front of the kitchen window, so I see it multiple times per day. SOMETIMES it gives me a fright as it twists in the wind and I think it could be a person's head walking by. I'm sure I'll get used to it! CandCMetalProducts.com.